Making soup with escarole is as Italian as it gets. Our mothers made it, their mothers made it as did our Nonna’s Nonnas. Sitting down to a hot, steaming bowl of soup with the family is as traditional as it gets in any Italian household and one that can happen any time of the year. Our very own Sera is sharing her escarole soup with meatballs recipe today. It’s delicate, yet filling and flavourful. Sera doesn’t add pasta to her soup although you could add orzo, ditalini, or tubetti if you wanted to during the last 10-15 minutes of cooking. She makes her meatballs very small and always roasts them in the oven to brown them before adding to the soup for additional flavour. 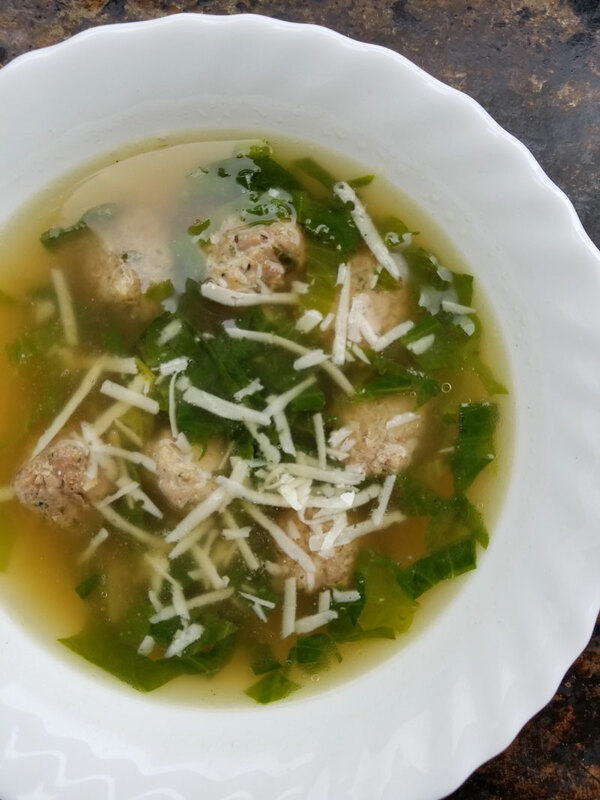 Pecorino Romano is added to the meatballs and is a hard, salty Italian cheese made out of sheep’s milk. This cheese adds saltiness to the meatballs so we omit the salt. Taste the broth once almost ready for serving and adjust seasonings as necessary. 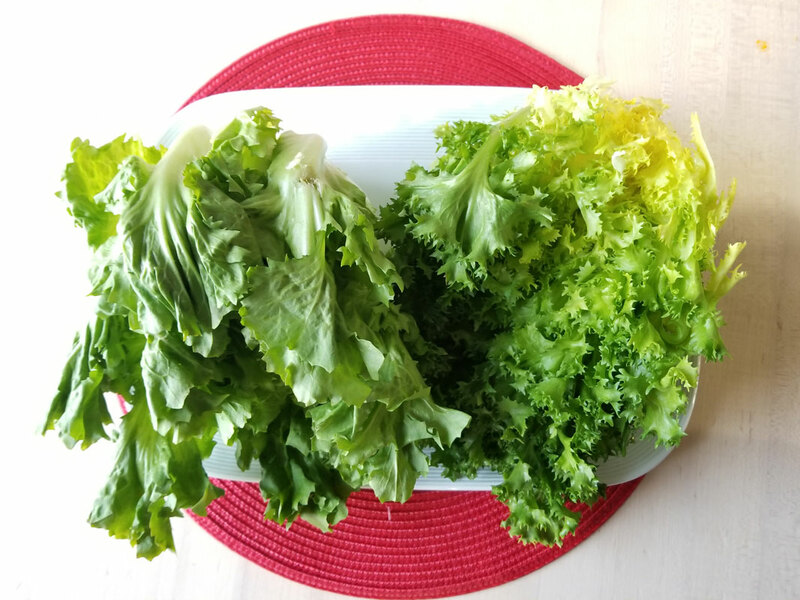 We have escarole available most of the year in the store. Preheat oven to 350 F. Combine ground meat, egg, parsley, pecorino romano cheese and pepper in a bowl. Mix just to combine and shape the mixture into tiny 1/2 inch meatballs. Place on a foil-lined rimmed baking sheet. Bake 15-20 minutes or until lightly browned. Remove from oven and set aside. Trim the escarole and cut off the stem ends. Separate the leaves, wash and spin dry in salad spinner. Stack the leaves and cut them crosswise into thin strips. You should end up with about 4 cups. Heat stock in a large pot and bring to a boil. 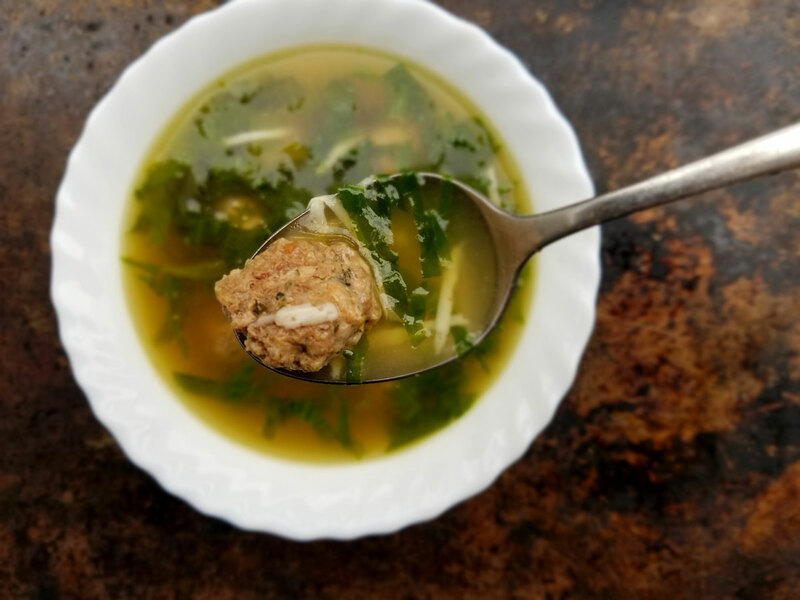 Drop in your cooled meatballs and your chopped escarole. Cook over low heat, stirring gently, until escarole is tender for 30 minutes or up to an hour. Serve hot in bowls topped with grated Parmigiano-Reggiano.